CAMA Gallery have an announced a November exhibition of Iranian contemporary artist Bita Vakili at their London space. The exhibition will open with a private view on 28th of November and run until 17th of December 2018. Bita Vakili uses mixed-media and found objects on canvas, to create a three-dimensional visual experience. In her recent work, she has moved away from nature towards the abstraction of scent, space and corporal elements. For this particular exhibition Vakili uses the figure of human foetus within abstract forms, switching her focus on the depth rather than surface, where human beings come from the womb. Twisting forms on canvases, allude to the embryonic spiral movements. Pure, limpid and grey and sometimes pink and red colours suggest the embryonic phase. Bita Vakili celebrates a successful and varied international career, including a sale at the 12th Christie’s Dubai auction in 2012 that made her the most expensive female artists in the Middle East. 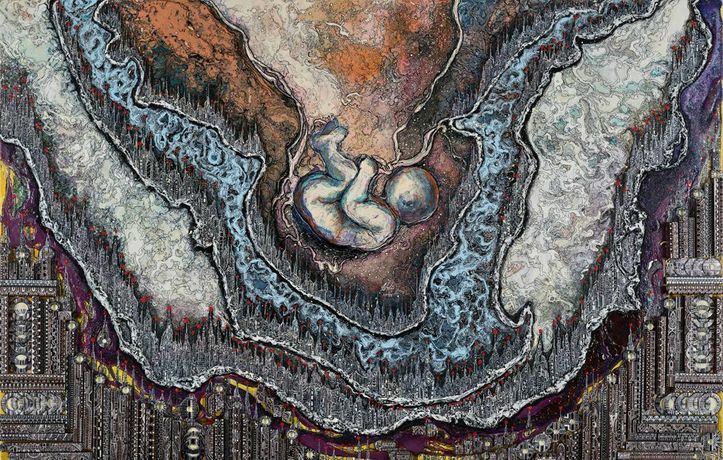 Born in 1973 in Tehran, Bita Vakili has been painting for over 25 years, mostly working with mixed media on canvas. She holds a bachelor’s degree in painting from the Faculty of Art at Azad University and a master’s degree from the Faculty of Art at Tehran University. Vakili has showcased her work at more than 70 group exhibitions in Iran, United Arab Emirates, Canada, USA, China, Monaco, France and more.